Home » Music Reviews » Ray Russell Quartet – Dragon Hill: Avant Garde tipping off the edge of trad. Ray Russell Quartet – Dragon Hill: Avant Garde tipping off the edge of trad. To listen to the reissues of guitarist Ray Russell’s early Columbia recordings is to open an eye on a different world, at least a different world in jazz. 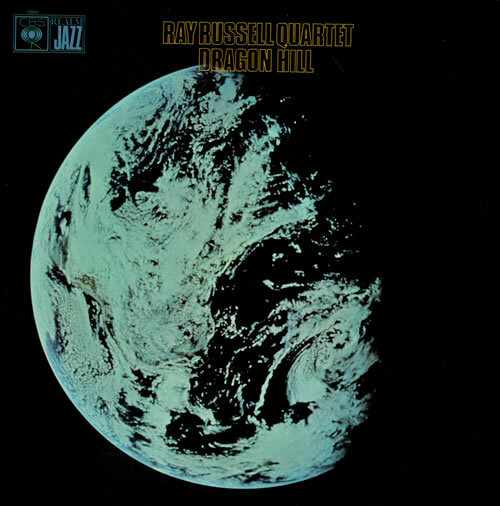 First of all, Dragon Hill’s quartet of Russell, pianist Roger Fry, bassist Ron Matthewson, and drummer Alan Rushton was a fantastically good jazz unit. They could play the canon until the cows came home and made the best case for modern British jazz at the time. But these were young, restless players; while the blues were fine and good, the edges explored by John Coltrane and the electric Miles Davis group were difficult to resist. Dragon Hill is the sound of a band reinventing itself; undoing the method they previously played music in and replacing it with an intense monster they could barely handle, let alone control. Astonishingly, nothing on this disc was edited, and everything was done in one take without overdubs of any kind. I find this music always thrills me – no matter what my mood, if the Jazz is good, so am I. It’s always direct access to cool as well as having its own soothing balm over any inner troubles. Not all jazz can do this of course – the more watered down the more pissed off you’ll find me – but when its good, nothing can break the fine fine mood. When Russell states a blues theme lifted straight from Davis’ “All Blues,” you wonder what’s up. But it lasts only a moment, because he goes right out of the frame. The band keeps the mode harmonically, but Russell loops over the margins and gets the band to explore with him. They return periodically — especially Russell, who seems afraid to let go — but by the time they reach the next tune, “Something in the Sky,” the fear is gone. “Dragon Hill” winds out, wailing the blues in a whole new context, unburdened by the chord changes. “Something in the Sky” is like a bebop tune that has become unwound. Adding a four-piece horn section here and on “Mandala,” the album’s closer, Russell reveals how much influence Jimi Hendrix had on him. He takes in the jazz leanings of the horn players, creates a new harmonic base with Fry, and then shoves his screaming rock guitar into the thick of jazz. It’s as if he’s trying to break it all apart and it works with the context of the group. The album’s backbone is “Can I Have My Paperback Back.” Russell’s melodic line gets doubled by Fry on electric piano, and they take the blues ride into jazz-funk territory before spiraling the entire composition into pure improvisation without any regard for where or when they may return — and they never do fully. It’s a different tune at the end. Dragon Hill is the first in a pair of albums that revealed — at least to those in Great Britain lucky enough to hear him play — that Russell wasn’t merely a fine jazz player, but a truly original musical thinker and an improvisational force to be reckoned with. This disc is a wonderful introduction to an underappreciated artist. The release date is 1969, but you can still get this wonderful disc here. Enjoy!